My latest CD, “A Footnote of Sorts,” was released on the Foundtapes label on December 12, 2015. 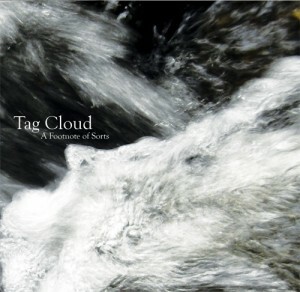 This is the third release for my solo project Tag Cloud (fourth if you count the “Overnight” cassette from 2014 — I put that one out under my own name, thus the qualifier). I composed and recorded the material during the spring and summer of 2015. I started making my own sounds probably in 2009. I didn’t have any prior experience in bands, just a lifetime of listening and a rough notion of what I wanted to do. What I wanted, and want, to do is create drone music; music centered around using a single sustained tone or note. I was introduced to drone a long time ago by attending a performance of the Richmond-based band Pelt. Their music eventually inspired me to create my own. It was my participation as a recording engineer for experimental music series in Washington DC (including the Electric Possible and Sonic Circuits festivals) that gave me the courage to try doing it myself. I chose the name Tag Cloud more or less at random. I like the sound of it — which made it an appropriate enough match for drone music. Five years after I started I think I’m beginning to understand a few things, particularly about recording. Initially, I made some fairly naive experiments involving manipulated field recordings. I tended to use a handheld recorder and played around with the results in a computer-based sound editing program called Audacity. I came across some kit electronics in 2011 and that got me started with what is essentially sound sculpting, using layered drones and sustained tones, loops, and various effects pedals, but not a lot of post-processing on the computer. Much of the time people tell me what I do is “meditative.” Probably they mean it’s relaxing to them. I find drones meditative in the sense that they focus my attention. Phill Niblock‘s music is a great example of this; on the surface the long sustained tones he works with sound static to a lot of people, but if you focus you can hear minute variations that end up making you very aware. So for me there’s an element of mindfulness to listening, and it’s that effect for listeners that I hope to achieve in my work. In the future I’d like to record some longer works. I’m fascinated with the idea of sustaining a relatively minimal piece over an extended duration in a way that is not totally static. I’ve always wanted to do a couple of sidelong vinyl tracks, so that may come next. It sort of depends on what works at the time. When I go into the recording process without preconceived ideas it usually leads to better results. I’m sure my ideas will evolve through live performances in the next few months. 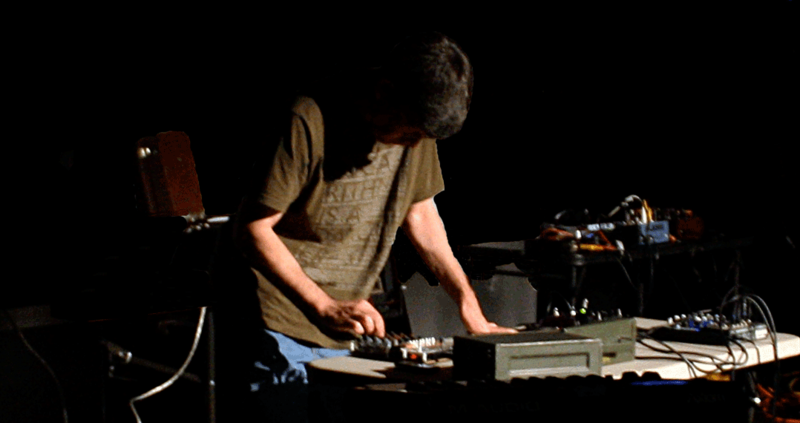 Chris Videll performs as Tag Cloud, which started in 2009 as a series of obscure experiments with field recordings and has come to include analog electronics, fx, cheap keyboards, metal percussion, shruti box, etc. Best described at this point as “electroacoustic sound sculpture and carpets of drone”. 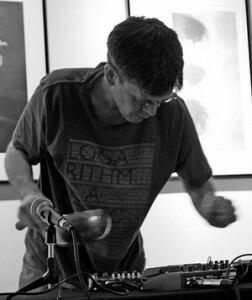 In addition to his solo work, Videll has collaborated with BLK w/Bear as BLK Tag, worked with DC-based electronic musician Blue Sausage Infant (Chester Hawkins), founded the duos Lab Mice with Gary Rouzer and Cable Rot with Doug Stailey, and the trio Safe, Fast & Effective with Dave Vosh and Keith Sinzinger. He also plays in various ensembles featuring experimental musicians from the DC area and beyond. His music has been released on the Zeromoon label, the UK labels Front & Follow and Trace Recordings, The most recent release under the Tag Cloud name is A Footnote of Sorts, available on Foundtapes.